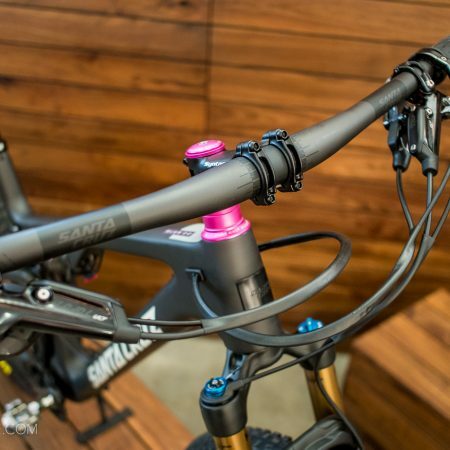 Spanish mountain bike manufacturer Mondraker is known for pushing the lines of what a modern mountain bike looks like with their Forward Geometry. 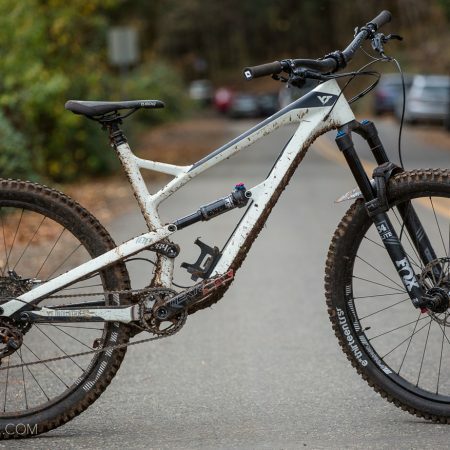 Their new release, the Foxy 29″ is their first entry in the long travel 29″ trail smasher category. 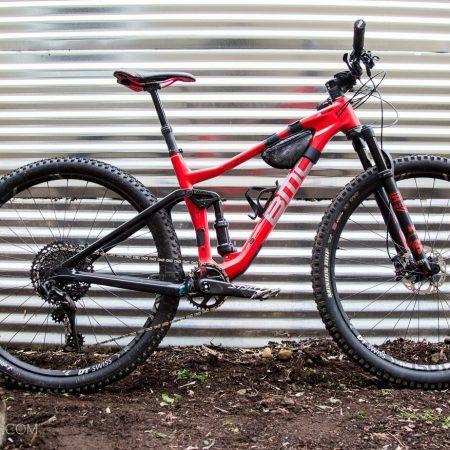 With 29″ wheels regaining in popularity in the US and their recent entry into the market, it was just a matter of time before they released a bike with the big wheels. Not only does it fill a gap in their line up, its a solid step forward, as it’s a good looking bike that demands attention. 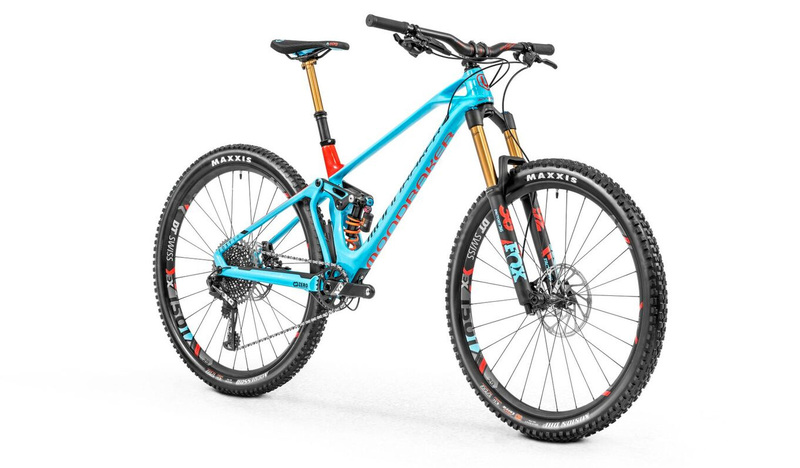 Based on their 27.5 Foxy all-mountain bike, it fills the long travel trail/all mountain/enduro 29er niche with 150mm of rear travel and 160mm of fork travel. The 66º head tube angle is adjustable to 65º with included cups and it features a shorter 44mm offset fork to aid weighing the front wheel in turns. Like the rest of the line, the reach on the Foxy is long. Standover is a non-issue, so picking a size is based on reach. With the medium featuring a 470mm reach, it’s inline with the large size offering from other brands; we recommend testing a few sizes before you commit. 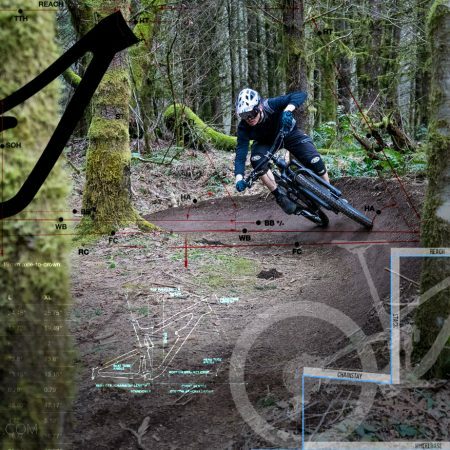 One thing is certain — once you become accustomed to the geometry of the new bikes, it will have a profound effect on how you feel on every other bike you own. 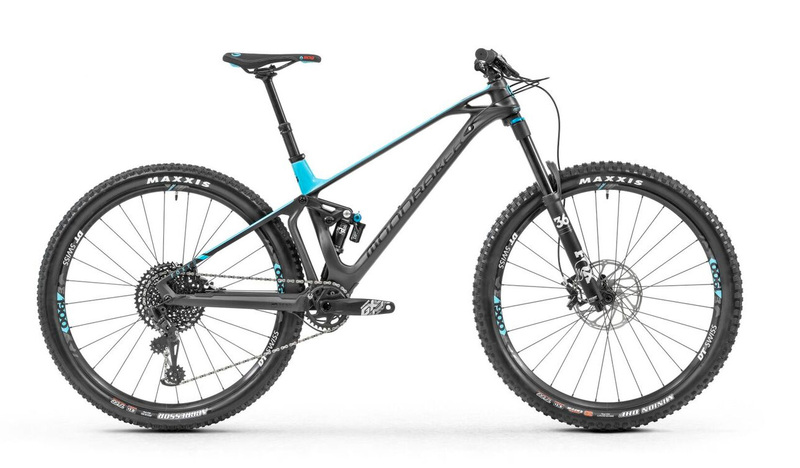 Starting at $5399 for the Black Phantom/ Light blue R29 model with SRAM GX, it is available in three builds with the top level XR 29 build listing for $9399. For those looking to unleash the full rock garden conquering capabilities, a coil shock equipped enduro ready edition is available. It’s also available as a frame for $4,000.